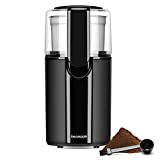 A spice grinder is a must-have gadget for any kitchen and whether you want to mill some pepper over your salad or whip up your own homemade curry paste, there is no questioning their usefulness. Because there are almost as many grinders on the market as there is pepper in the pot, we have put together this quick and easy-to-follow buying guide to assist you in choose the right spice grinder for you. 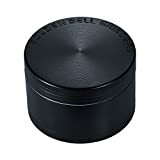 Pestle & Mortar Grinders: Sturdy and reliant, pestle and mortars are an old school grinder that has been around for years. 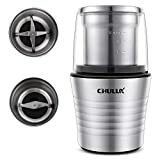 Still popular today, they feature in many kitchens as they offer the most durable solution to spice grinding and give cooks more consistency control. Manual Crank or Mill Spice Grinders: Mills grind by rotating two parts in opposite directions. Requiring less effort than doing it completely manually, they are a popular economic choice used most often for grinding salt and pepper. 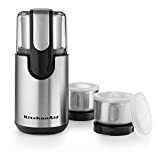 Microplane Spice Grinders: Microplane spice grinders look like miniature graters, and spice is ground by a grating action, like you would grate cheese. These grinders are small, cost effective, and easy to use! Electric Grinders: Electric grinders are versatile and require no elbow grease at all. Using a variety of spinning blades, users are able to grind spice at varied consistencies at a push of the button. A convenient modern choice for many kitchens! Wet & Dry Spice Grinders: These grinders are able to grind dry spices and make wet curry pastes. They offer the most spice variability and are ideal for enthusiastic chefs. 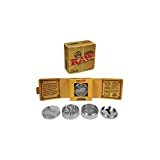 Variety: Spice grinders that offer the most versatility are also the most popular and are well reviewed. Spice grinder owners are much happier with their purchase when their grinder can do many things. For variety, electric grinders are top! Cleaning: The easier to clean a spice grinder is, the better the reviews are. 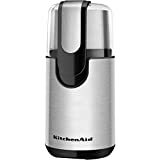 Things like top covers that prevent messes while grinding, easy to remove parts that are dishwasher safe, or stainless steel parts that are easy to clean are all features that lead to user satisfaction. Durability: Good quality grinders are definitely the kings of the grinders, with owners updating reviews after many years of use to say their grinders are still working well. Buying a good quality grinder is an investment. Operation:Generally, electric grinders get better reviews when it comes to easy operation. But pepper mills and good solid mortar and pestles are a close second. The most important consideration when buying a new spice grinder is your budget. When choosing a spice grinder, think about how often you will use it. For infrequent use, mortar and pestles are perfect. For frequent grinding, electric grinders will save you a lot of hard work. For easy cleaning, choose a grinder that has removable parts that are dishwasher safe. What kind of spices to you like to grind? Microplane grinders work great with garlic and hard spices. For dry spices like pepper and salt, mills and manual crank grinders are the most efficient. For versatility, mortar and pestles and electric grinders are a good investment. Secura: Secura is a leading appliance manufacturer in the United States. 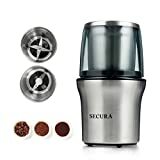 Producing products that are designed to be user-friendly, more environmentally friendly, and stylish while still being affordable, they are a popular spice grinder brand. 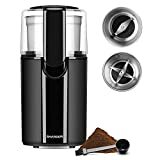 Cuisinart: With so many top rated kitchen appliances, Cuisinart is a trusted, high quality company that produces a variety of innovative culinary products including grinders that are endorsed by the best chefs in the industry. KRUPS: Starting as far back as 1846, Krups has positioned themselves as a brand dedicated to precision and technical perfection. 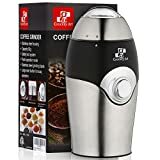 Specialising in coffee machines and grinders, they are a household name. Kyocera: Using one of a kind advanced ceramic material, Kyocera products are stronger, more durable, and easier to clean. Specialising in well crafted knives and spice grinders, they are a quality brand.